Stratagem Security Inc. is a full-service security system integration company in operation since 1974 with customers, projects and installations throughout the New York, New Jersey and Hudson Valley Region. The hands-on Leadership Team of Basil Morales and Thomas Kempkes have a combined 50 years of experience in the security services industry. Whether is a new design-build or a customer’s concern, both Tom and Basil are passionately involved in every aspect of their business. Our team takes pride in our professionalism, innovation, and craftsmanship. Stratagem Security is always on the cutting edge of technology. Our focus is providing quality installations and maintaining superior customer relations. Stratagem Security is committed to utilizing the most cost-effective equipment installed in a professional manner with future system expansion and customer service in mind. When you call our office you will always be greeted by a friendly “human” voice who will expedite your call to the appropriate party. Do you want your system installation done promptly, professionally, leaving you feeling secure that they’ll be there to support you’ll when need it most? Would you be comfortable with a local independently owned company in the security installation business for over 44 years that stands behind every installation big or small? That’s why Stratagem Security is your company! 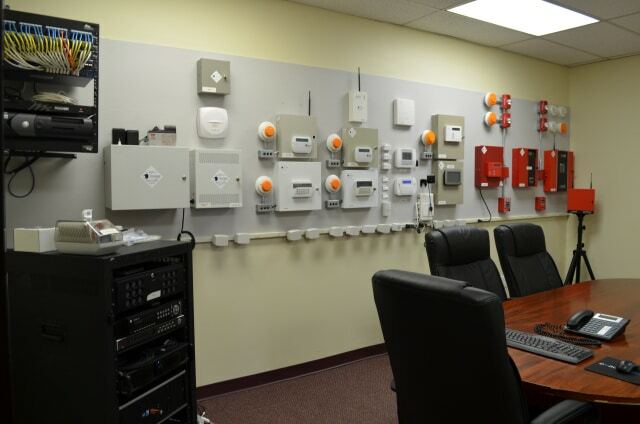 Stratagem Security partners with our customers to design life safety, security, smart home, and integration solutions. We treat our customers and employees like family, which allows us continued growth through satisfied customer introductions. We will remain passionate in our effort to assist in keeping our customers safe and support them to the best of our ability. To learn more about us and what we can do for your home/business, give us a call at (914) 777-5700 or email us at: sales@nycctv.us.